A ‘‘book of condolences‘ – a document with messages, memories and condolences from some of the very many friends and colleagues that came to know Di over her time here in the UK. This was shared with Di’s family in Tasmania for her memorial. Below – a very hard, sad thing to write – is our obituary. 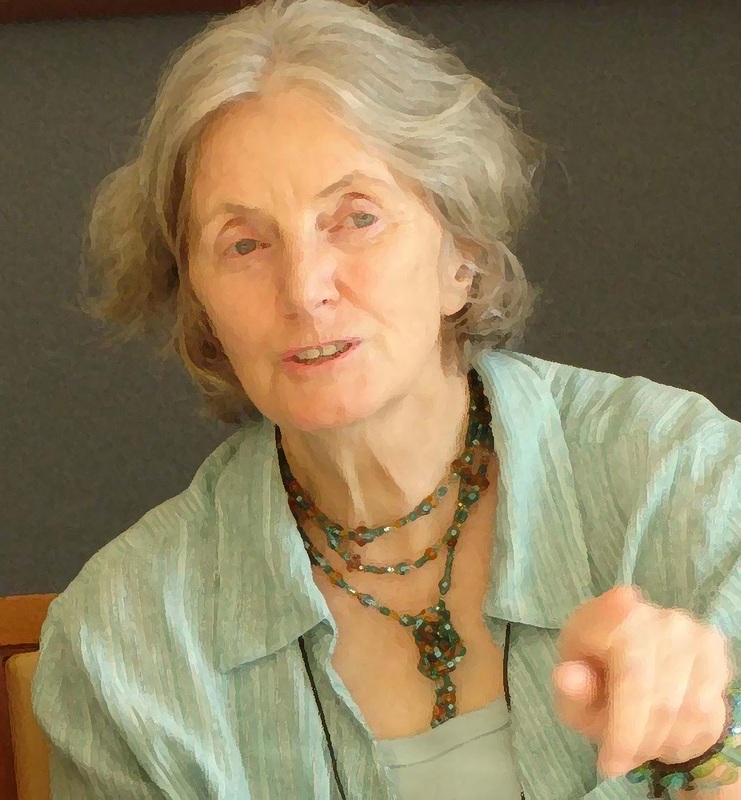 It is with such a heavy heart that we say goodbye to Diana Ward, our friend, colleague and co-conspirator. She was a founder member of the From Pink to Prevention Campaign, the No More Breast Cancer Campaign, The Free Radicals, the UK Working Group on the Primary Prevention of Breast Cancer and Breast Cancer UK and worked with the Women’s Environmental Network on their ‘Putting Breast Cancer on the Map’. She was a lifetime campaigner extraordinaire on the primary prevention of breast cancer and environmental justice. Diana died peacefully at home in Tasmania on the 27th January 2019, surrounded with friends and family. It is so hard for us to imagine Di is finally gone. She survived so many cancers and so much ill- health, especially in the last few years of her life, that we began to think she might be immortal. Yet she lived through each onslaught, treating each as an adventure, a journey which opened her up to new experiences and interesting people to meet along the way. Her writing and her art reached a wide audience through her various roles, activities and campaigning actions. And she was such a great networker! She talked to every person she met, educating everyone from shop-keepers to legislators, with a steely determination and sense of humour that they all warmed to. She was quietly persuasive in her solid determination to expose the injustices of the breast cancer establishment. This, combined with her energy, and her wisdom, made her a force to be reckoned with. Age was irrelevant to Di – we never knew how old she was, right up to a month before she died. She seemed ageless. We used to joke that campaigning was a job for life and Di was campaigning right up until the very end. 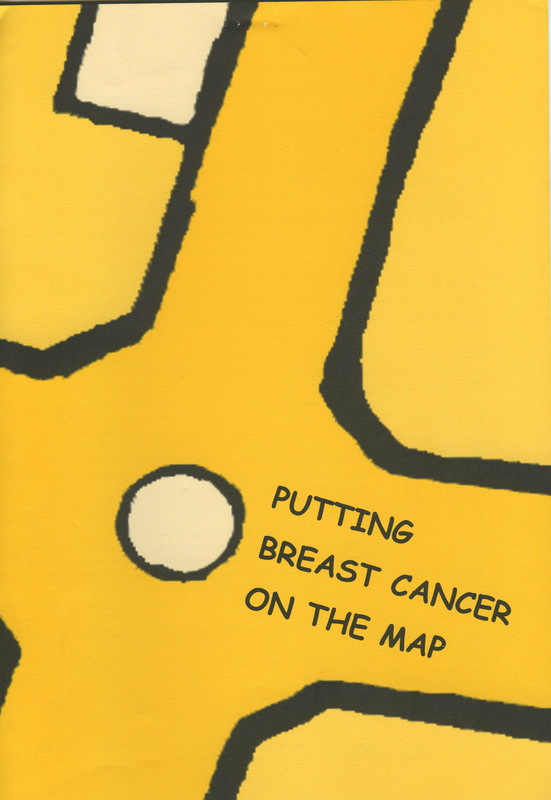 Helen recalls: Di entered my life at the start of the Putting Breast Cancer on the Map project. 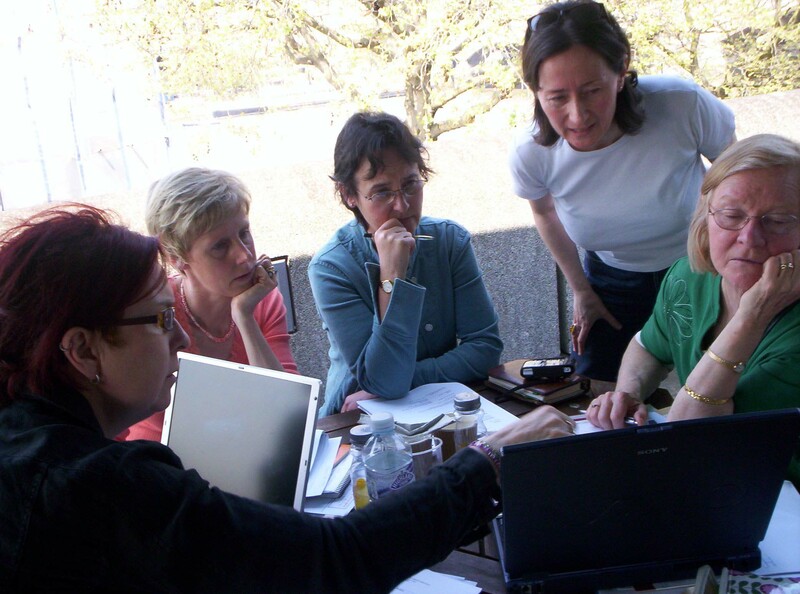 In 1997 I received National Lottery funding at the Women’s Environmental Network to run a project looking at encouraging women and their communities to map their local environments for links between sources of pollution and breast cancer incidence. Di arrived like a gift just at the right time. 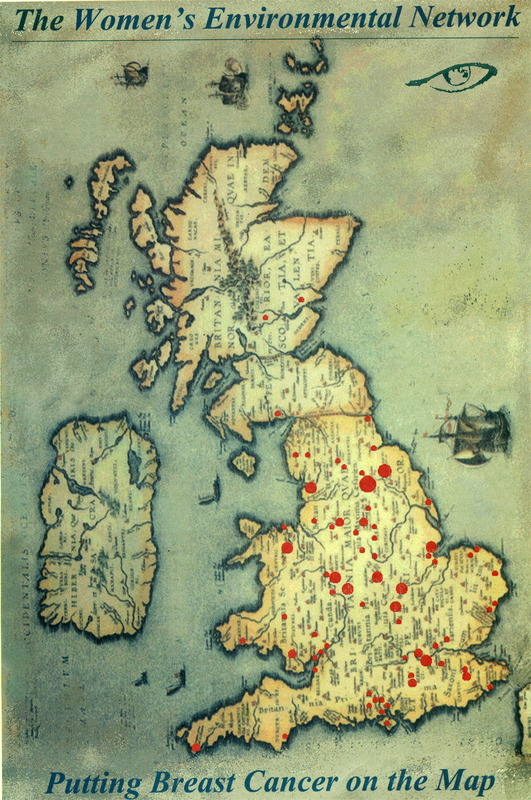 The mapping project oddly seem to draw the right people and things to use when we needed them. 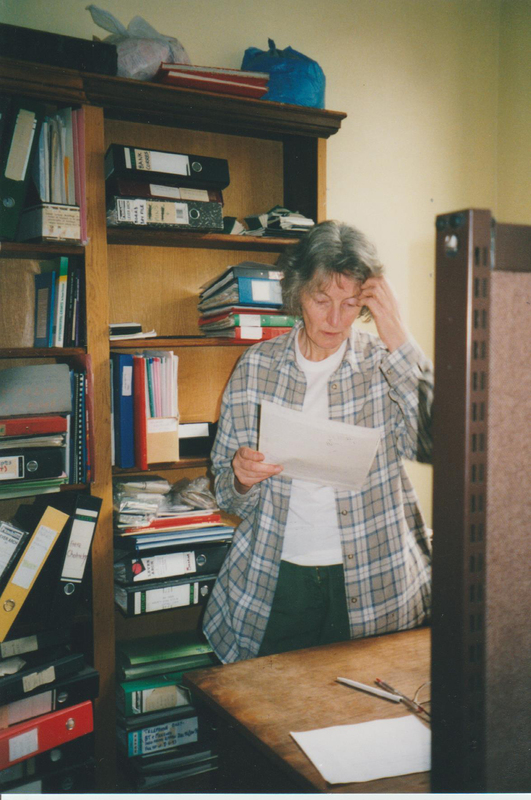 When Di wasn’t on the phone persuading a caller to ‘get mapping’, recording their details on our newly acquired Rolodex, she contributed to the drafting of what became the project information booklet and the final report. When things went wrong, which they so often did, or we found ourselves in the office late at night, Di would say ‘dinna fash’ and we’d celebrate or comfort ourselves with chips and prosecco. The act of mapping became cathartic and the project developed and grew into working with communities to take toxic tours of their localities, workplaces and home environments. She got involved with the Older Women’s Network when she came to London first and lived by house-sitting in North London and Bristol. When she returned the second time from Tasmania, she joined the Older Women’s Co-Housing Network. She went against so many of society’s beliefs about women, especially older woman. 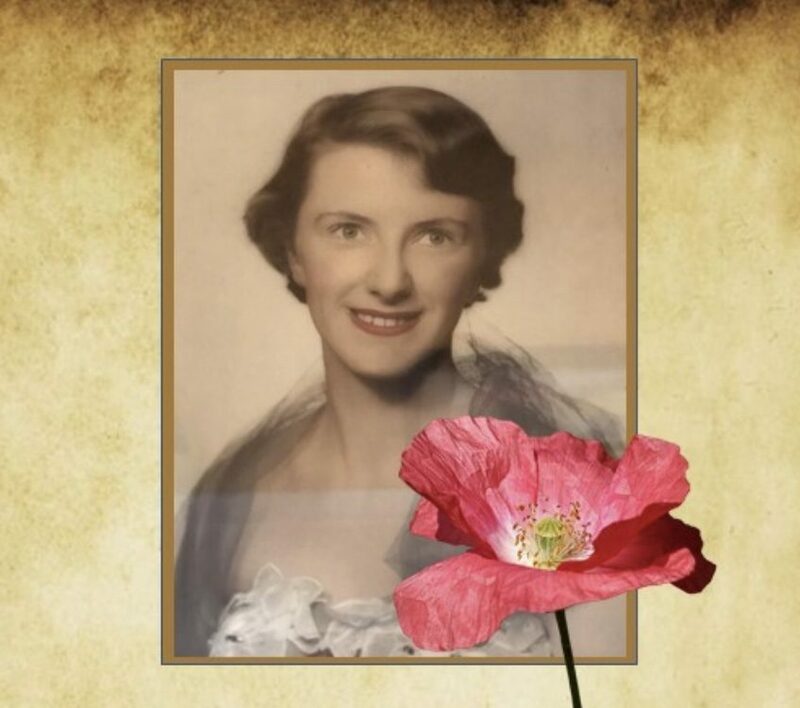 She loved bright colours and clothing and decorated her London flat with purple chairs and rugs mostly from John Lewis, a department store which she wished she could have brought back to Tasmania. 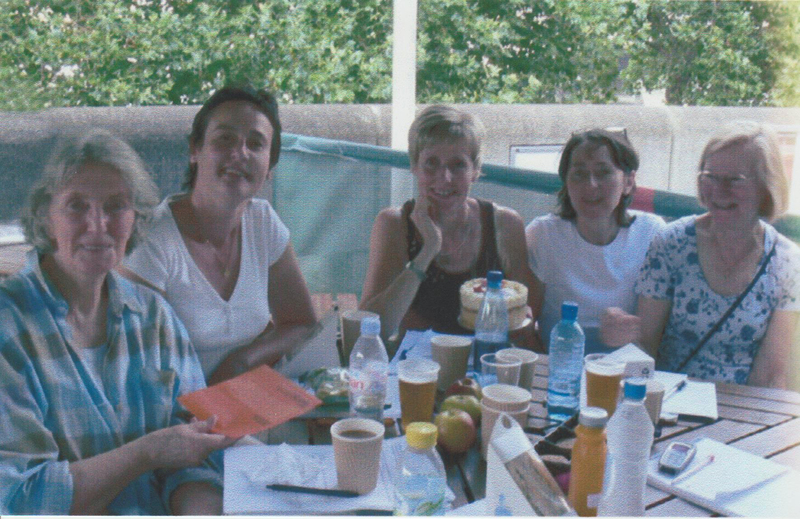 The free radicals came into being after Helen and Di attended the World Conference on Breast Cancer Advocacy held Brussels in 1997, where (yet again) they found themselves going against the and were prevented from holding a meeting on primary prevention. The Free Radicals wanted to do more direct action and one of our first actions was to make a point about society being more interested in breasts than breast cancer. 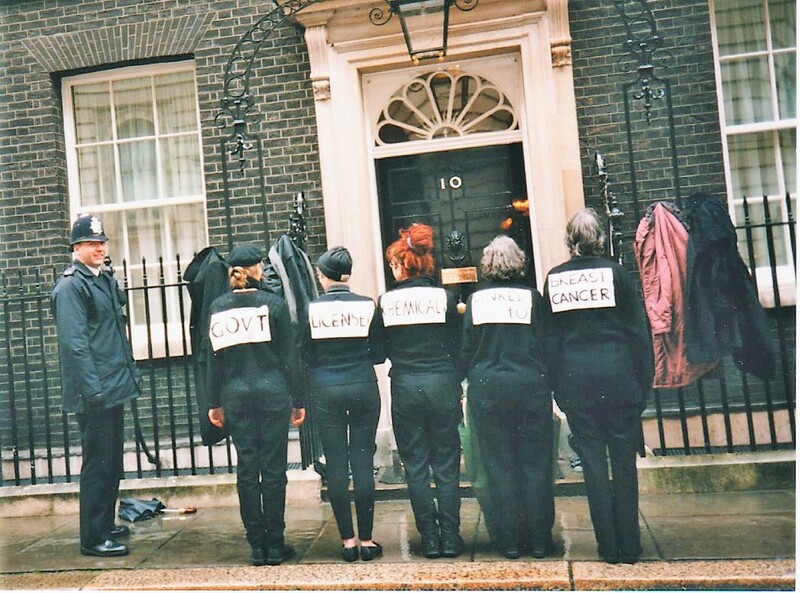 Helen remembers: ‘Along with Audrey Scott (RIP), Clare Dimmer (RIP), Laura Potts, Di and I bared our ‘breasts’ outside the Ministry for Agriculture, Fisheries and Food in York, or as we called it the Ministry Against Female Futures – for licencing chemicals and pesticides linked to breast cancer. But that was what campaigning was like with Di- fun and an adventure, but always with a focus on challenging the establishment about toxic chemicals linked to breast cancer. 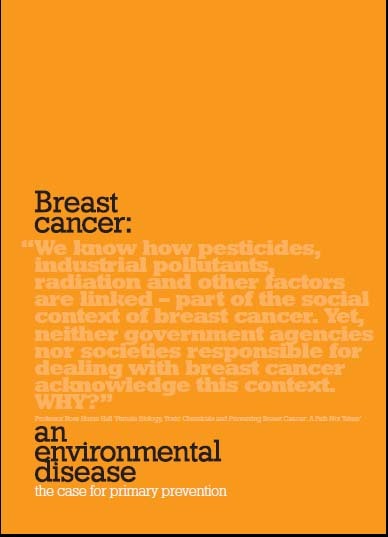 The ‘Orange Document’ – Breast Cancer an Environmental Disease – came about after we met with Joan Ruddock in 2002. We wanted the UK Government to organise a task force to look at the links between breast cancer and toxic chemicals, to stop breast cancer before its starts. Joan told us we were the Task Force but we must product ‘the evidence’ in order for the government to take action. And so, the UK Working Group on the Primary Prevention of Breast Cancer was formed, which later instigated the No More Breast Cancer Campaign. The process of writing the orange document was very democratic, and a massive labour of love. It was a ground-breaking document and like all Di’s work she collected a group of people around her- Deborah Burton, Jill Day, Clare Dimmer, Morag Parnell, Gwynne Wallis, Dianne Dowling, Helen Lynn and Alison Craig, and we worked collectively, but of course Di was the driving force, the main author. Di was an accomplished writer and she taught us how to write, honing words and sentences until they were as good as they could be. And true to form we paved our own path and didn’t produce a traditional report on the evidence, knowing that there were many barriers to prevention but the lack of evidence was not one of them. 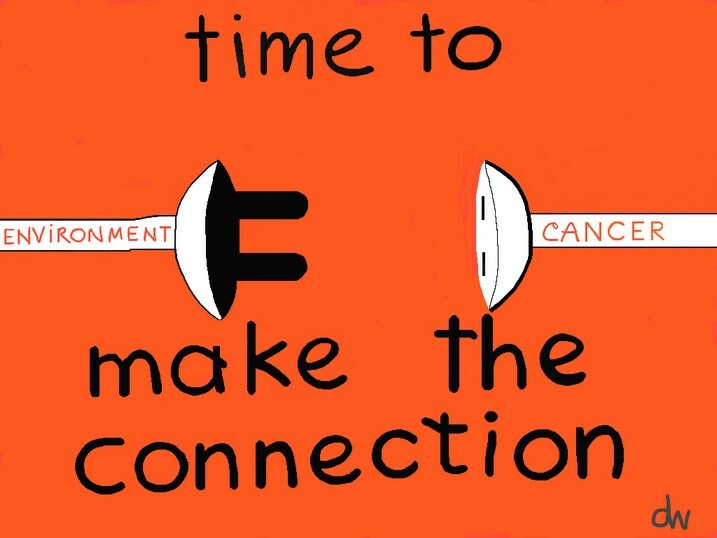 Instead we used the words of the many scientists, activists, campaigners, regulators and people we admired, to support the call for recognition of breast cancer as an environmental disease and exposing that the government and the cancer establishment are complicit in soaring rates of breast cancer. The orange document was presented to the Scottish Parliament in 2007 by Dr. Morag Parnell, Moira Adams and WEN Scotland, along with a petition urging the Scottish Government to investigate any links between exposure to hazardous toxins in the environment and in the workplace and the rising incidence of cancers and other chronic illnesses. And Di spoke at the International conference organised by ARTAC (Association for Research and Treatment Against Cancer) on ‘Environment and Sustainable Health: An International Assessment’ as one of her last events as the first chair of the newly reformed Breast Cancer UK. She left the UK to return to Tasmania that same year. From Pink to Prevention This campaign was all about a focus on vested interests standing in the way of primary prevention. Di would always come back to the ‘vested interests’ angle, sitting at the heart of the issue. Included in this was the role played by the big breast cancer research charities whose task seemed to include the closing down of any evidence that wasn’t linked to the mantra ‘lifestyle’. And moreover, this too was also linked the ‘pinkwashing’ of breast cancer. Di always hated the global festival of pink that each October brought – she wanted to move from pink to orange, from pink to prevention. 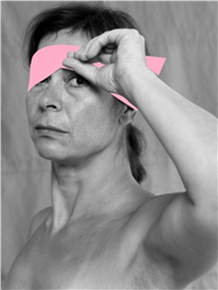 She led on FPTP’s detailed and challenging correspondence with Breakthrough Breast Cancer UK (now called Breast Cancer Now) as we tackled them on their public communications and ‘selective’ research selection; she also began to create what was to become an extensive body of artwork, for use by the campaign. This culminated in her wonderful Make the Connection exhibition at Unison’s HQ in Central London, last October, of which we were so proud. Di fought for women, she painted women, she was the most supportive friend to women. There has been no better role model to have had in life our lives than Diana Ward. We will all miss her beyond words and we won’t ever again be able to smell lavender now without thinking of her. She enriched our lives and our world – a world that will now be a much sadder and quieter place without Di Ward. And we send our deepest condolences and love to Di’s daughters, friends and wider family in Tasmania. We loved you Di and we will always love you with all our hearts. Rest in peace our beloved, intrepid Diana. Helen Lynn has made a lovely short video encapsulating Di’s many achievements and campaign actions here in the UK. They included this action outside No 10 – in the days when you could! Lastly, here is a short video about our last big project with Di – the Make The Connection exhibition launch of her cartoon collection last October, hosted in London by Unison. You can see the exhibition here.